The horse we have today arose in about 7000 BC and domesticated about 4000 BC. The horses were bred and ridden without shoes until medieval times when people started confining horses. The hooves started getting bad from an unnatural environment, so shoes were invented for hoof protection. The ancient nomads rode unshod horses for the most part because the half-wild horses of the Asian deserts seldom needed shoes. 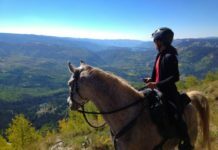 Horses born and raised in any open country and allowed to run at will over the dry, rocky terrain of mountains and deserts develop a hardness of hoof that requires little attention. Most of the great writers specifically mentioned the greater durability found in the feet of the Eastern breeds. It was only after civilized man began confining his mounts to stables and soft pasturelands that foot protection became generally used. Shoeing became fashionable and then profitable, so people do not want you to know that shoeing and an unnatural environment is the major cause of hoof lameness in horses all over the world. Many hoof related lameness can be cured by letting the horse revert to a more natural state, like removing the shoes and placing the horse in a pasture instead of keeping him in a stall. Stalled horses cannot move around enough to restore the necessary circulation to the hoof. 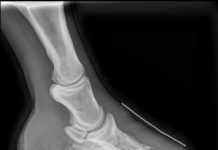 Since the early history of domestication of the horse, it was noted that working animals were exposed to many conditions that created breakage or excessive hoof wear. Ancient people recognized the need for the walls (and sometimes the sole) of domestic horse’s hooves to have addtional protection over and above any natural hardness. An early form of hoof protection was seen in ancient Asia where horse’s hooves were wrapped in rawhide, leather or other materials for both therapeutic purposes and protection from wear. 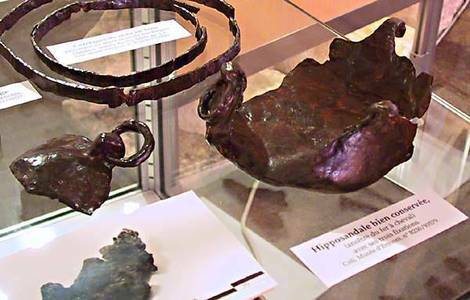 From archaeological finds in Great Britain, it appears that the Romans attempted to protect their horses’ feet with a strap-on, solid-bottomed “hipposandal” that has a slight resemblance to the modern hoof boot. 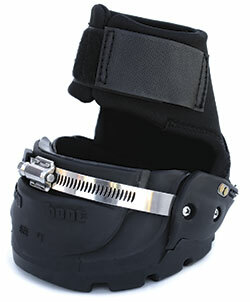 What began in 1970 with the invention of the first Easyboot by Dr. Neel Glass to help his beloved family horse suffering from navicular disease, has since evolved into an entire line of hoof boots and other products that have allowed us to change the way we think about hoofcare. At EasyCare, we truly believe barefoot is best. 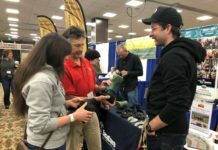 Protective hoof boots help keep horses sound during transition, protect the hoof when the footing is challenging and during periods where hoof health is compromised, boots not only protect, but keep your horse comfortable.